This homemade costume for boys entered our 2016 Halloween Costume Contest. 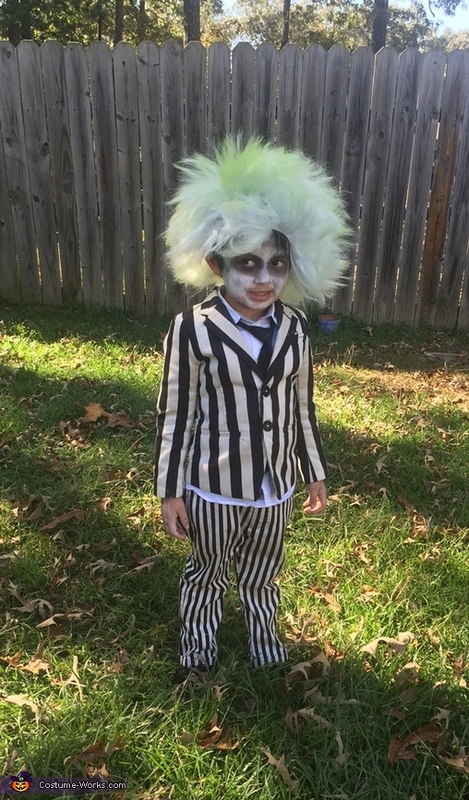 We are huge Tim Burton fans and this year we decided to fo with Beetlejuice! Kahlen, my 3.5 year old son absolutly loved his costume and had a blast in it. He got so many compliments! The outfit is from a few years back from H&M and his wig we bougbt and spray painted a little bit green for a more accurate look!